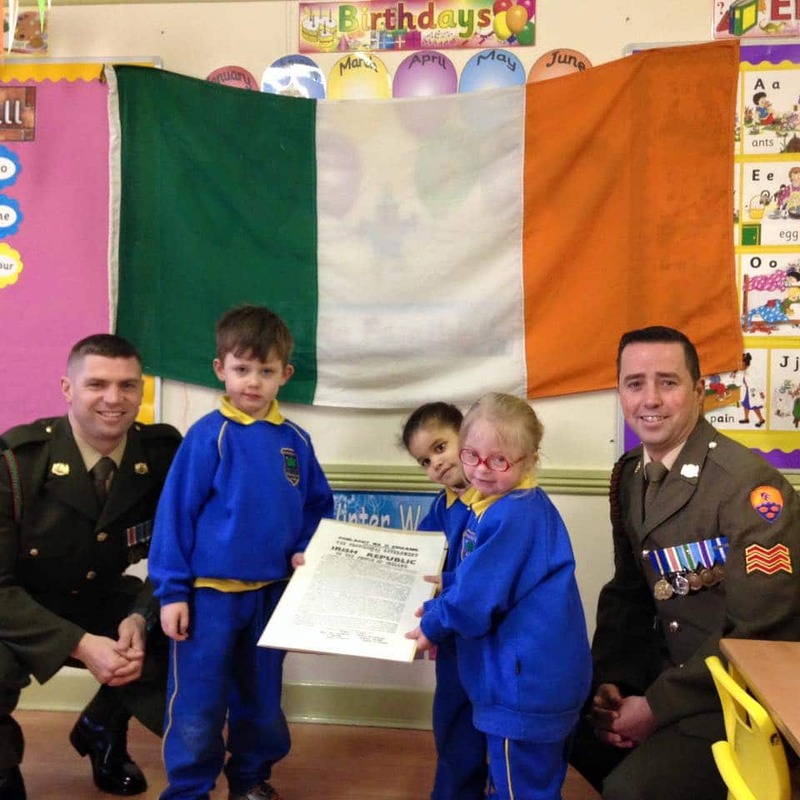 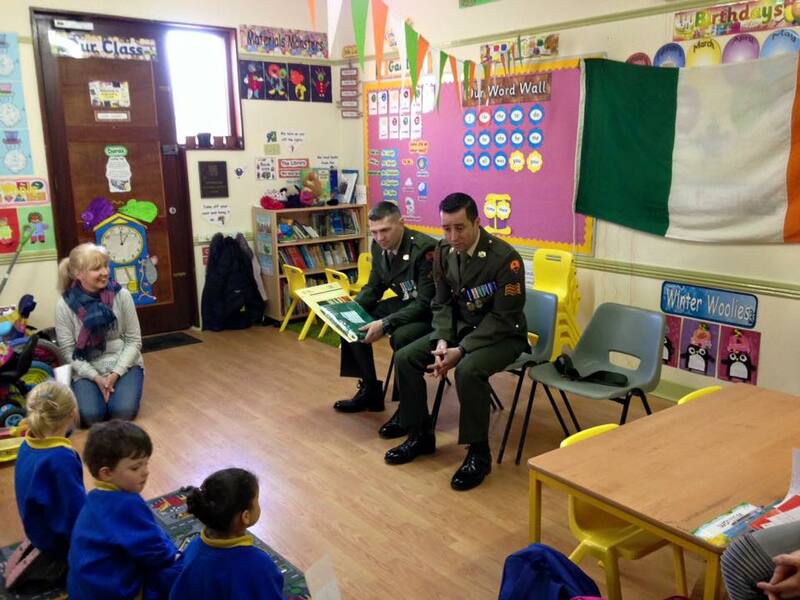 On Friday 15th January Scoil Chlíodhna Community National School in Carrigtwohill were delighted to welcome two members of the Defence Forces who delivered a National Flag and a copy of the Proclamation to the school. Sergeant Pierce O’Regan and Trooper Paul Quigley, formally presented a National Flag and a copy of the Proclamation which was read out by Sergeant O’Regan to commemorate the centenary of the 1916 Rising and to celebrate 100 years since the Proclamation of the Irish Republic. 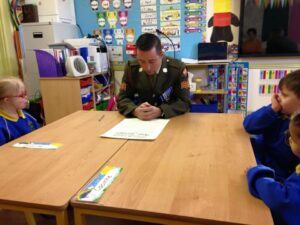 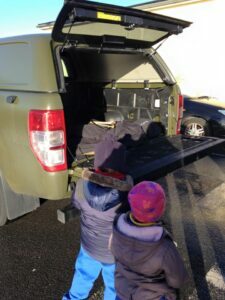 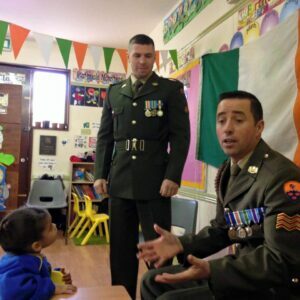 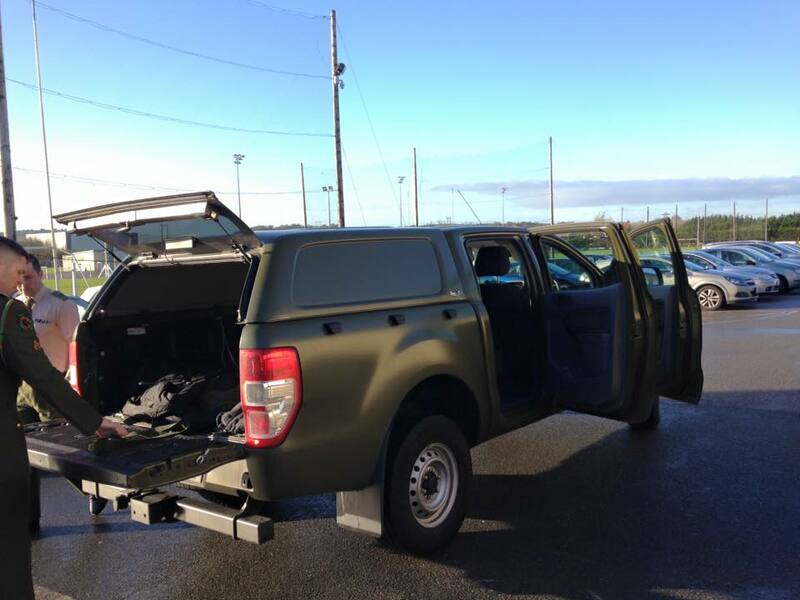 Sergeant O’Regan taught the students how the National Flag should be cared for, he told them about the work and uniform of the members of the Irish Defence Forces and the students even got to see inside the army jeep as a special treat. It was an extremely memorable day for the community of Scoil Chlíodhna CNS. 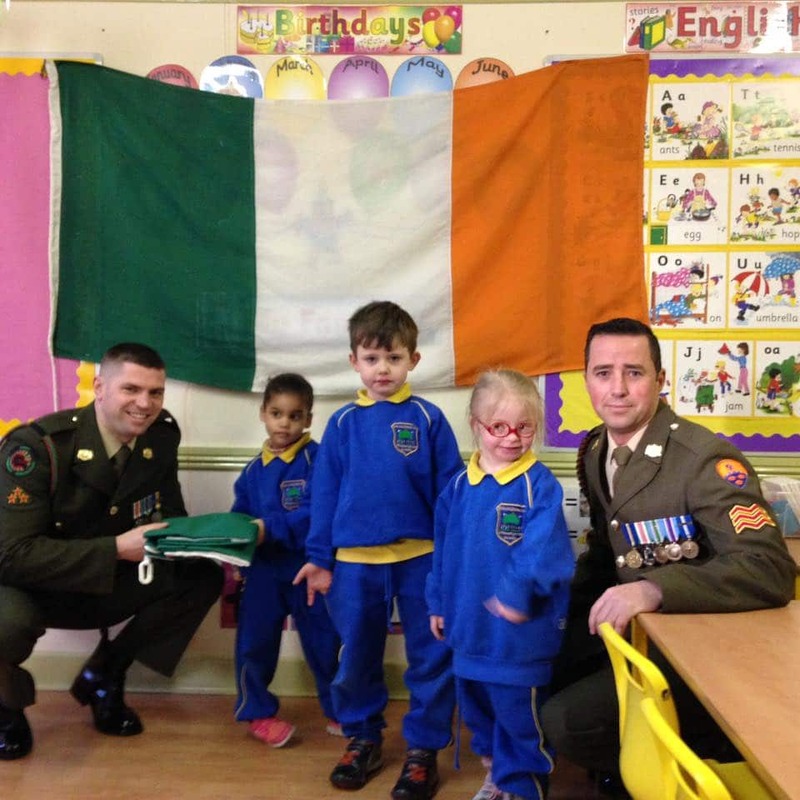 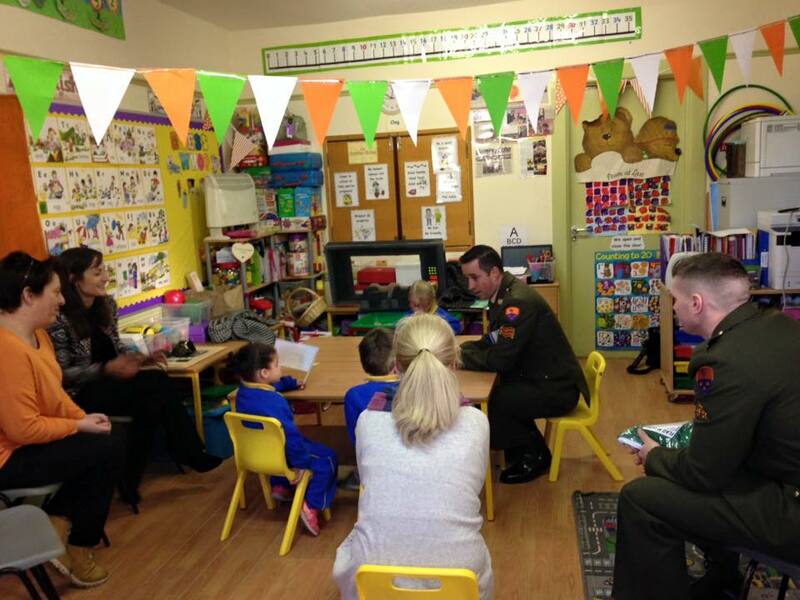 A special thank you to Sergeant O’Regan and Trooper Quigley from everyone at Scoil Chlíodhna CNS.